For an up and coming New York studio engineer in the 80's it seemed impossible not to work a lot in the genre collectively known as Dance Music which included hip hop, rap, house, and what is now known as EDM - electronic dance music. It formed the soundtrack and raison d'etre for an urban, underground sub-culture assembling in clubs to dance, drink and drug the night away. Taking a page out of Rimbaud to instigate a systematic derangement of the senses to reach a visionary space. Loud, repetitive, hypnotic thundering beats usually synched with flashing, strobing, kaleidoscopic lights creating a contemporary trance music; a platform for activities ranging from shamanic voyaging to inebriated zombie numbness. Save the Robots was the name of a well-known after-hours club in the East Village at the time. I worked with artists like Nocera and Mantronix who had huge hits on Billboard's Hot Dance/Club Play charts, but were virtually unknown in the pop world. This was the scene that Madonna came out of before hooking up with producer Nile Rodgers who made her breakthrough album, Like A Virgin, mixed by my engineering mentor Jason Corsaro. It was not my preferred kind of music which sounded to me like different versions of disco. Like much of the world outside of urban America I first encountered rap music from Blondie's song Rapture introducing Fab Five Freddy with a rap in the middle. A year later while visiting New York for the first time I caught a bus out to the Meadowlands arena in Jersey to catch a Blondie concert (Buster Poindexter aka David Johansen from the New York Dolls warmed them up - incredible show!) and Debbie Harry introduced Fab Five Freddy in living flesh to do a rap of his own in the Rapture extended jam. Blondie was a lot better and more street than I expected them to be from hearing their slick radio hit productions. About an hour after getting back to the city someone attempted and failed to mug me while walking around in Times Square. I was staying on 43rd street and in an elevated, somewhat ecstatic mood from the buzz of the concert, strolling about contemplating art and life while gazing up at the tall buildings and the skyline, definitely not paying attention to what was happening on the street when this guy jumped me on 8th Avenue. I still had lots of adrenaline flowing from the concert which only increased so the immediate reaction was to shove him off of me and push him into the the wooden wall of the construction zone beside us. It was only about midnight and there were people around also not paying attention, but the dude appeared to be offended saying "what's wrong with you, what's wrong with this guy," in NY jivese to the nonresponsive passerbys before stalking off in a feigned huff. An initiation into the musical side and the violent side of NY street life all in one night. Walking around New York in 1982 exposed me to lots of unknown beats and raps on the street blasting loud, proud and distorted out of boom boxes while kids break-danced to the pounding rhythms. I could never make out the rhymes, but watching this spontaneous street art felt exhilarating nonetheless. My initial foray into proto-EDM as an engineer earned a Gold Record; an auspicious beginning especially considering the first statement on the record. It was for the self-titled major label debut of Information Society and ended up charting a number one single on the Billboard Dance Charts with a number three on the Pop Charts. The record was excellently produced and engineered by Fred Maher who seemed to be channeling a Kraftwerk production sensibility. Fred was a drummer and music programmer who had worked with Massacre, Material, Scritti Politti, and Lou Reed. It was my impression that he hadn't engineered a record before; my role as second engineer included recording all the vocals. It's a good record, one of the best in that genre in my opinion. The very first words you hear are a sample of Spock saying "pure energy" with other Star Trek samples used liberally throughout. It became an important record for my career advancement. Later, I mixed two InSoc singles produced by their main writer, Paul Robb one of which made it onto the Earth Girls Are Easy film soundtrack. I also engineered a record for the band Red Flag which Robb produced. The success of the InSoc record scored a steady engineering gig with the Latin freestyle group TKA, fellow label mates on Tommy Boy records. They were produced by Joey Gardner and the album that resulted was Louder Than Love. All of this took place at Platinum Island Recording in Greenwich Village. Some of the first rappers I recorded were about as removed from the streets of the Bronx as you can imagine - they were professional wrestlers from the World Wrestling Federation. The song was, If U Only Knew from Piledriver: The Wrestling Album 2 produced by Rick Derringer and David Wolfe (Cyndi Lauper's husband and manager at the time), Tom Edmonds was the engineer. Most of the songs on the album were well-crafted rock songs with the wrestlers brought in at the end to add vocals. Derringer recut his hit Rock-n-Roll Hootchie Koo turning it into a duet with himself and "Mean" Gene Okerlund. It was exciting to witness the original artist rerecording a classic song that I grew up with. If U Only Knew, a pseudo rock meets rap mashup featured an all-star line-up of wrestlers each contributing one or two lines in the verses, a We Are the World of wrestling. The wrestlers all showed up the same morning and added their contributions in a three hour session. Some of them seemed to have partied hard the night before one notable exception being Hollywood Hulk Hogan as he was known at the time. What surprised me about Hogan was that he was a regular, easy-going nice guy until he got on the mic. When the cue came for his part he immediately turned into this comic book, larger than life, superhero character just for that moment, delivered his lines, then went back to being a regular, laidback guy. I'd never seen anyone so quickly turn on a larger than life personae as if at the flick of a switch then turn it back off just as quickly and easily. In those early years of my recording career I engineered a lot of EDM type music much of it with a producer named Craig Kafton who was eccentrically pleasant to work with. At different times he brought in a couple of the genres top mixers, Roey Shamir and his protege Angela Piva. Another highlight was a mix I did for Mantronix (Kurtis Mantronik). I was the the third or fourth engineer who attempted to mix that track and it was successful. At some point the club dance music sessions were so constant that I began seriously considering alternate career choices. I didn't want to get locked into a genre that I had little appreciation for even though I was grateful for the work and did enjoy the sessions for the most part. Things began to look up when I started assisting sessions for Bill Laswell. I was unaware of Bill Laswell's extremely influential contributions to hip hop and rap. Two years before Run DMC became famous for combining rap with rock in their cover of Aerosmith's Walk This Way, Laswell created a project called Time Zone that released the rock/rap single, World Destruction featuring John Lydon and Africa Bambaataa. Musical activism at its best: punk meets rap for a world destruction. I knew the single Rockit from Herbie Hancock's Future Shock album, but didn't realize that Laswell was the mastermind that put it together. Rockit is credited with introducing turntable scratching and turntablism - the art of using the turntable as a musical instrument - into mainstream musical consciousness. Rammellzee's ... theory of Gothic Futurism, which describes the battle between letters and their symbolic warfare against any standardizations enforced by the rules of the alphabet. His treatise, Ionic treatise Gothic Futurism assassin knowledges of the remanipulated square point's one to 720° to 1440°, details an anarchic plan by which to revise the role and deployment of language in society. Both Ramellzee and Burroughs intend to deconstruct language. Burroughs had studied and was strongly influenced by Alfred Korzybski's General Semantics which among other things looks at various ways that language shapes our perceptions and interpretations of reality. Apart from Burroughs, General Semantics has influenced a number of cutting edge cultural innovators including Buckminster Fuller, Robert Anton Wilson, Robert Heinlein, Stockhausen, and Richard Bandler (co-originator of Neuro Linguistic Programming). The idea that language affects consciousness is hardly limited to General Semantics. Around the same time and independently of Korzybski, Benjamin Whorf introduced the term linguistic relativity to describe the same effect that language has on consciousness. Burroughs and Rammelzee's efforts to subvert the habitual use of language, along with many other experimental writers ( Joyce, Proust, Kafka, Pynchon, Wilson, etc.) seems equivalent to subverting habitual belief systems and tunnel realities; deconstructed language as an effective tool (sledgehammer) for transformation. Rap music subverts, disconnects and permutates standard English making a new minor language inside the major dominant language, a cultural war machine against the dominant order and its "order-words" of control, judgement and obeyance that enforce the accepted moral code of how to live and be inside the strait-jacket of society. Rap offers lines of flight out. They are great writers by virtue of this minorization: they make the language take flight, they send it racing along a witch's line, ceaselessly placing it in a state of disequilibrium, making it bifurcate and vary in each of its terms, following an incessant modulation.... This means that a great writer is always like a foreigner in the language in which he expresses himself, even if this is his native tongue. At the limit, he draws his strength from a mute and unknown minority that belongs only to him. He is a foreigner in his own language: he does not mix another language with his own language, he carves out a nonpreexistent language within his own language. He makes the language itself scream, stutter, stammer or murmer." - Deleuze, Essays Critical and Clinical, p. 109-110. Engineering for The Third Power by Material was the next major chapter in my rap music education. I recorded Shabba Ranks for the opening track, Reality at Laswell's newly minted Greenpoint studio in Brooklyn. Ranks was there with a crew of about 6 or 8, I could understand about 60% of their thick Island patois; perfect example of a minority language. He starts the track addressing and thanking the world for making him who he is and all the TLC; as sincerely gracious in person as he sounds on the track; a likeable, affable, professional who had a sense of danger about him. He lays it down in a few hours complete with ad libs. Keeping it very real. Around the time The Third Power was in progress I recorded Cutty Ranks, another Jamaican Dancehall rappper, with Bill immediately after we arrived in Tokyo on a flight from New York. We took a car from Narita to a hotel on the far outskirts of Tokyo, about a 3 hour drive and met the rapper and his manager shortly after arriving. The hotel had a studio in the basement and we got right to work. Cutty Ranks was another total professional, we got what was needed quickly and easily. My memory has it that this was for a song on The Third Power, but that's wrong, Cutty Ranks doesn't show up in the credits. I can't remember what it was used for. The Third Power was where I first encountered the Jungle Brothers - Afrika Baby Bam and Mike G. The track they contribute their rhymes to, Playin' With Fire, ranks as one of the best and most aesthetic rap songs that I know of. It's a cautionary, motivating tale set in the 'hood and features a Herbie Hancock electric piano solo. Later, I engineered a number of sessions for what was to be the Jungle Brothers third album, Crazy Wisdom Masters. Mike G and Afrika Baby Bam, who in the course of the Crazy Wisdom sessions would change his name to Af Next Man Flip (Lord of the Paradox) were seriously in the thralls of Crazy Wisdom largely due, it seems, to Laswell introducing them to his record collection and turning them on to free jazz and other progressive music. At one point an attempt was made to recruit Cecil Taylor to overdub, but he wasn't available. As you might have guessed from his name change, Af really took to this musical awakening like an astronaut to space. He got on a mission to create the most "out there" rap music ever integrating elements of jazz, chaos, collage and dissonance over more traditional rap forms. I felt compelled to give him the black djellaba I had used to walk around Tangier incognito at night. The wisdom turned out to be a little too crazy for Warner Bros. which never released it. The sessions that I engineered for the Jungle Brothers at Greenpoint were much different than I was used to. Allowing them to use his studio was the extent of Bill's direct involvement with the tracking when I was around. They would typically begin about 3 hours after the scheduled start time. Often the first to show up was Torture, a young kid, maybe 17, who wasn't officially part of the group, but who would go on to guest rap on at least one track. Torture would get to the studio a good hour before anyone else, get me to put up a track on the tape machine then play around with it on the Neve desk until everyone else showed up. To be blunt about it, if you catch my drift, the sessions were often painfully slow accustomed as I was to the focus of Laswell produced projects. I recall spending one entire night programming a hi hat pattern. A few months later Bill and I did mix enough songs for an album up at Quad Recording in Times Square - not too long after Tupac was attacked and nearly killed in the lobby there - though I don't know if they were ever used for anything. One track, Simple As That (remixed) found its way onto Excavation, Bill Laswell: Unauthorized Cut-Ups Vol. 1. I met Flavor Flav for the first time on my 34th birthday. I had engineered a session for Bill in the afternoon and had agreed to stay on to work with Flavor Flav, Hank Shocklee and the Bomb Squad for an evening session. Flav was the first to show up. I introduced myself, "I'm Oz, I'll be your engineer tonight." Hearing my name inspired Flav to go into an impromptu Wizard of Oz oration: "Oz, Oz ... where is my heart ... and Oz ... where is my brain ... and, and ... where is my co....co...courage ..." Assuming the role, I told him he already had everything he needed. Needless to say, I've heard that reference many, many times, but never as colorful as Flav's delivery. Flav was a total pro, always nice, respectful, easy to work with and stone-cold sober. He was on his best behavior. Most of the time we tracked vocals though occasionally Hank and the Bomb Squad would work out a beat. Flav often, but not always, wore his trademark clock. I was told we were recording for a Flavor Flav solo project, but the songs ended up getting used for a Public Enemy record, Muse Sick-N-Hour Message. Digital Underground was the other notable rap group I worked with, doing a mix for them on the SSL in Platinum Island's Studio East, an alternate take of one of their hits. If memory serves, I recall it being a version of The Humpty Dance for the film Nothing But Trouble. Shock G is the only person I remember dealing with from the band. He was pleasant, easy to work with and liked the tones; a causal, low key event. I liked that it was a rap resurrection of Lewis Carrol's Humpty Dumpty complete with the fall and the crack in the egg evoking the Stoics comparison of philosophy to an egg: "The shell is Logic, next comes the white, Ethics, and the yoke in the center is Physics." (Diogenes Laertius). Common logic gets cracked here in this jam, nonsense surfacing into rhymes creating a sense of a particular joyous, unifying kind. Ethics of breaking down the gangsta lie for a grander, less violent way out. The yoke and joke at the center of this song is definitely physics, transforming at the end to a call for a world dance, ("Underground in the house...") and respect "to the ladies" while acknowledging the shining buddha emptiness at the core of their being - "humptiness" appearing as a Carroll-style portmanteau word combining "hum" and "emptiness;" Hum suggests the repetitious buddhist chant loop "Om mani padme hum". Run some of the Prosperity Path orbs to experience a virtual reality example of that. Laswell not only created new directions in the rap/hip hop world, he also helped keep its roots alive and working most notably with various projects for The Last Poets. 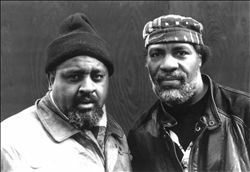 "With their politically charged raps, taut rhythms, and dedication to raising African-American consciousness, the Last Poets almost single-handedly laid the groundwork for the emergence of hip-hop." (Jason Ankeny). I was fortunate to record and mix Bebop or Be Dead, a solo effort by Last Poet Umar Bin Hassan released on Bill's Axiom label. The poetry is about as real as it gets coming from Umar's lived experience translated into images of revolution, survival, and life on the street. Musicians playing on the backing tracks include Buddy Miles, Amina Myers, Bootsy Collins, Anton Fier, Foday Musa Suso, Bernie Worrell and Bill Laswell among others. Fellow Last Poet Abiodun Olewole contributed some vocals. The blogsite Digital Meltdown wrote: "This release is a true over-looked classic that has somehow remained relatively obscure." I also did some tracking at Greenpoint for the Last Poets1993 album Holy Terror. At that point the Last Poets consisted of Umar and Abiodun with guest rapper Grandmaster Melle Mel. Turntablism, the art of turning a turntable and vinyl into a musical instrument got its start in the hip hop culture, but has been deployed by Bill Laswell in a variety of musical contexts beginning with Grandmaster DST's (now DXT) inclusion in Herbie Hancock's Rockit single. I got to mix live sound for a couple of different versions of Material that included DXT. At a festival in Gent, Belgium I recall one lively conversation over dinner where he was spinning Illuminatti conspiracy theories and connecting it to a piece of jewelry worn by a woman at another table. Meanwhile, I was telling him about Finnegans Wake which I was reading for the first time. At the Bonnaroo festival in Tennessee DXT deftly played a theremin along with the turntables. DJ Disk is the turntablist I've worked with the most, usually live, though I also recorded and mixed his solo album Live at Slims with musical support from Buckethead, Brain and Les Claypool. I first met Disk when he was a member of the Invisibl Skratch Piklz, a hip hop DJ collective. Bill Laswell asked them to play a show with Praxis. Later, Disk toured with Praxis on his own before joining another Laswell project, Tabla Beat Science. The rhythmic interplay between Disk and Zakir Hussein on tablas had many spectacular moments. One of my favorite shows with Disk was a one off in Frankfurt, Germany with a band that also included Jack DeJohnette, Bill Laswell, and Derek Bailey. Heavyweight Dub Champion (HDC) is a electronic music/rap based collective I first became involved with in the summer of 2008 when helping to mix their album Rise of the Champion Nation. Founding members Resurrector (aka Grant Chambers) and Patch were joined by sax and keyboardist Totter Todd and a lot of rappers including KRS-One, Killah Priest, Dr. Israel, A.P.O.S.T.L.E., Lady K and Stero-Lion. Working out of Prairie Sun's Studio A, I would set up the mix and initial balance, leave Grant and Patch to go at it it for a few hours adding effects (mostly analog and many from the echoplex food group), editing the arrangement, and other sound design considerations. When they were ready, I would tweak the mix into it's final form. The foundation of the band's musical presentation is a method they call "Sonic Shamanistic Alchemy." As defined by Resurector, it involves, "taking a range of vibrational materials, from tribal instruments to electronic instruments, and manipulating them through devices like tape delays and old analog stomp boxes to try to find the personality of each piece... looking for particular voices, particular vibrations that would contribute to the spectrum of sound we're trying to bring forth, a spectrum of liberational revolutionary energy... to change the chemistry of the planet leading to unconditional liberation of the human race." In recent years, Heavyweight Dub Champion changed personal and morphed into Liberation Movement. Patch retired to New Mexico to pursue solo music, domestic bliss, and the precision craft of a luthier. The most prominent new member is Sasha Rose, a recognized favorite on the Rainbow Gathering circuit and now Resurector's better half. I recently mixed for them at two festivals in California and Oregon. The MC/ rapping duties were held down by Noah King with additional assistance from Wailer B at Symbiosis. A chorus of chanting Peruvian shamen made sonorous appearances via electronic sampling. Soriah, a live Tuvan throat singer also performed at Symbiosis, further uniting world music and electronic, trance dance music for a potent transformative cocktail. Audience response was extremely positive; it got across! Liberation Movement is scheduled to go into Prairie Sun in December to mix their first release with yours truly. Elsewhere and elsewhen, Dr. Israel fronted Method of Defiance (MOD), a Bill Laswell musical force of expression willed to life - something Che Guevara might have put together if he were a musician and not an armed revolutionary with attendant dire results. Method of Defiance shapeshifts band members from performance to performance, but most of the time I mixed them apart from Bill and Doc they consisted of Bernie Worrell, DJ Krush, Toshinori Kondo, Garrison Hawk and Guy Licata. Hawk adds a mellifluous contrast and Jamaican dancehall rhyming to Israel's street revolution delivery. Doc also operated an 8 channel Mackie mixer fed by SM57's placed strategically about the stage to dub out and fold in random sounds generating multiplicities of rhythms with feedback delays and the occasional reverb bomb exclamation point. Licata is the best live "drum & bass" drummer I've mixed. Krush scratches in a softer (less saw-tooth waves) more sustained style than DJs who scratch fast and always rhythmic. He is the most musically diverse and melodic turntablist I've worked with made quite evident at a trio gig in Milan with Bernie and Bill. Imagine a combination of players on the scale of Beethoven, Mingus and Dr. Dre with a sensibility of infinite Japanese depths, heights and surface tensions to suggest some idea of his musically coded soundscaping that night. Gil Scott-Heron was a radical poet and musician credited as a seminal influence on hip hop and with raising social and political awareness in the African-American community. I didn't ever meet him or get to work with him, but I did master a post-mortem tribute project Kentyah Fraser put together with Scott-Heron's longtime musical collaborator, Brian Jackson, called Evolutionary Minded: Furthering the Legacy of Gil Scott-Heron. Rappers and poets featured on that include Dead Prez, Chuck D., Killah Priest and Abiodun Oyewole. 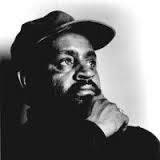 There's also some incredible historical recording samples from Bobby Seale and Scott-Heron. Cornel West gave it a positive review saying, "This is prophetic art at its highest level." This was the first project at my new local studio, Ancient Wave in 2013. I first met Kentyah a few years earlier when he organized a live tribute to Miles Davis' electric years featuring some of the musicians who had played on those sessions including guitarist Mike Stern and Brazilian percussionist Airto Moreira. Killah Priest and Brian Jackson were also on hand for that tribute. Other musicians included Mike Clark ( Headhunters and Brand X) and Vince Wilburn ( Miles' nephew). I was hired to mix the Front of House and to make a multitrack recording. To my knowledge, that recording hasn't been mixed. More recent hip hop/rap style projects to have come my way include tracking Les Nubians with producer Aja Salvatore for an alternative take on one of their recent releases which hasn't seen the light of day so far. Aja also records up and coming rappers which I've had the privilege to mix at Ancient Wave. These include Cyhi the Prynce (signed to Kanye West's label and a guest on his album, My Beautiful Dark Twisted Fantasy), Fat Trel (signed to Rick Ross' Maybach Music Group), and Jon Connor (signed to Dr. Dre's Aftermatch label and performs on Dre's new album, Compton). My favorite rap song is Subterranean Homesick Blues.